The post H2FLOW HIRE DRIVER RECRUITMENT PROGRAM! appeared first on Major Training Group. Major Training’s & H2flow Hires 5 Day water cart driver recruitment program to get qualified & the opportunity to interview! Major training in partnership with H2flow Hire, have put together this new water cart driver recruitment program. It’s jam-packed with tickets including water cart ticket, white card, standpipe, manual handling, load restraint, fatigue management, an interview with H2flow Hire & 3 days work experience for successful interviews! H2Flow Hire are looking for qualified drivers now & have job opportunities around Brisbane/Gold Coast for the right candidates! Training conducted at Major Training at Yatala. Opportunity to an interview with a H2Flow Hire plus 3 days work experience for the right candidates. The course is spread over two weeks – Week 1 is 5 days of training & week 2 is an interview & if candidates are successful 3 days of on the job work experience. The post Looking of way to get your foot in the door for an electrical apprenticeship? appeared first on Major Training Group. Join Major Trainings’ New Pre-Trade Career Start Electro Program! 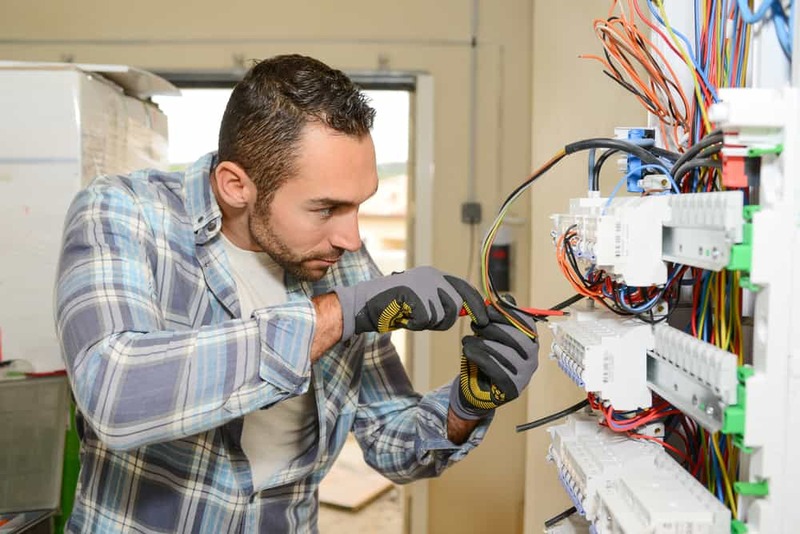 If you are looking to become and qualified electrician, this pathway course in UEE22011 Certificate II in Electrotechnology (Career Start) is a pre-apprenticeship program to UEE30811 – Certificate III in Electrotechnology Electrician qualification. This program will provide you with hands-on practical training. The post UPDATE ON OUR DRIVER DEVELOPMENT PROGRAM: appeared first on Major Training Group. Congratulations to Gemma from our first driver development course on her placement at Bromelton Quarry! Major Training’s ‘5 Day Driver Development Mining Course’ is in partnership with SES Labour Solutions: a Brunel Entity & Bromelton Quarry! Our new driver development course teaches skills that are critical for gaining employment in the mining and construction industry. Upon graduating, you’ll be qualified to safely drive a haul truck and hold your Standard 11, as well as having an opportunity to interview with SES Labour Solutions for a position. The post What To Expect From An Electrical Apprenticeship appeared first on Major Training Group. To become a qualified electrician in Australia, you need to undertake an electrical apprenticeship. 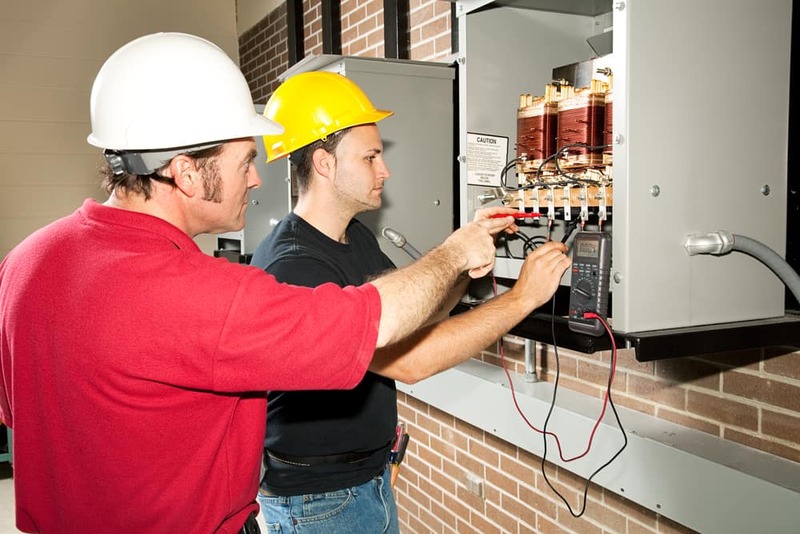 An electrical apprenticeship usually takes four years and includes some training through an RTO to complete a Certificate III in Electrotechnology Electrician (UEE30811). Whether you’re just starting out or looking for a career change, there are plenty of benefits to taking on an electrician apprenticeship and becoming a sparky in Australia. For a start, electricians are one of the highest-paid tradies in the country. They’re also in high demand, with jobs for electricians increasing by 66% from 2017-2018. With an attractive salary and job security on the cards, there’s never been a better time to take on an electrical apprenticeship. Major Training works in partnership with the Australian Apprenticeships Network to train apprentices in a Certificate III in Electrotechnology Electrician (UEE30811). If you’re interested in undertaking a Certificate III in Electrotechnology Electrician in the form of an electrical apprenticeship in QLD, you must be employed full time or part time and have access to a workplace relevant to the qualification. We work with the employer and student to develop customised Apprentice Training Plans. This ensures the student is learning the right skills for the business they’re in. Upon successful completion of this qualification, you’ll be able to select, install, set up, test, fault-find, repair and maintain electrical systems and equipment in buildings and premises. This course also includes ERAC requirements for an Electrician’s Licence. An electrical apprenticeship alongside a Certificate III in Electrotechnology Electrician is the perfect way to kick-start your career. Applying environmentally sustainable procedures in the energy sector. Assessment throughout this course includes a combination of knowledge and skills observation and employer reports. The delivery model is face-to-face approximately every six weeks at the employee site or ours (as agreed in the training plan). We provide more flexible options than traditional trade schools, offering flexi classes and block-training. If you’re thinking about taking on an electrical apprenticeship in QLD, Major Training can work with your employer to get you qualified to be a sparky. Give us a call on 1300 790 822 to learn more. The post What to Expect from Our Truck Driving Courses appeared first on Major Training Group. If you’re considering a career change, there are many advantages to becoming a truck driver. Operating a heavy vehicle can be a demanding job, but it’s a great way to see the country and escape the predictable nature of a typical 9 – 5 role. Take the first steps toward a career on the road by finding out everything you need to know about the truck driving courses available with Major Training. From road trains to light rigid trucks, there are many different types of heavy vehicles currently in use on Australian roads. Depending on the type of heavy vehicle licence you require, various training courses are available to aspiring truck drivers. To qualify for an MR licence course, your must have held a C (car) or LR (light rigid) licence for a period of at least 12 months. This period must have occurred during the last five years. To qualify for a HR licence, you must have held a C (car) class for 24 months, and a LR (light rigid) or MR (medium rigid) licence continuously for 12 months. To qualify for a HC licence, you must have held a MR (medium rigid) or HR (heavy rigid) licence for at least 12 months. To qualify for an MC licence, you must have held a HR (heavy rigid) or HC (heavy combination) licence for at least 12 months. You must also successfully complete a pre-assessment, an approved training course, and demonstrate the ability to use automatic, synchro-mesh and road ranger gear boxes prior to starting the MC licence course. Depending on the type of heavy vehicle licence you’re applying for, other training requirements may include proof of identity, practical driving tests, eyesight assessments and the completion of a log diary. 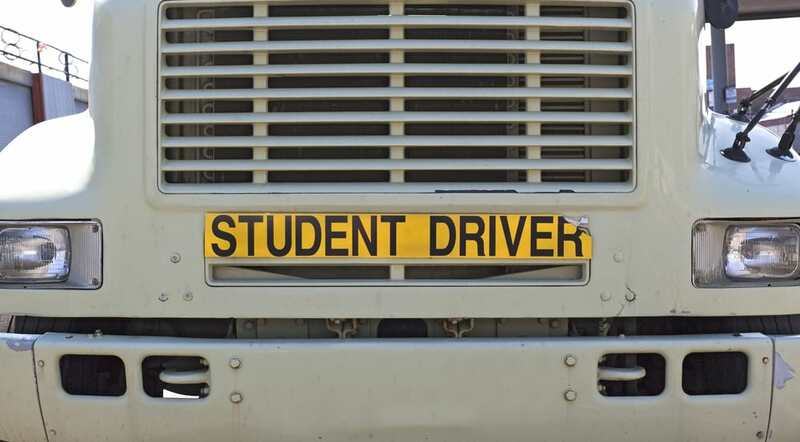 Training is provided by experienced drivers on a one-on-one basis in the truck’s cab. It’s also possible to arrange for trainers to attend a company’s premises for onsite lessons. Due to a shortage of truck drivers in Australia, there are significant employment opportunities in the freight transport industry for people with the right qualifications. 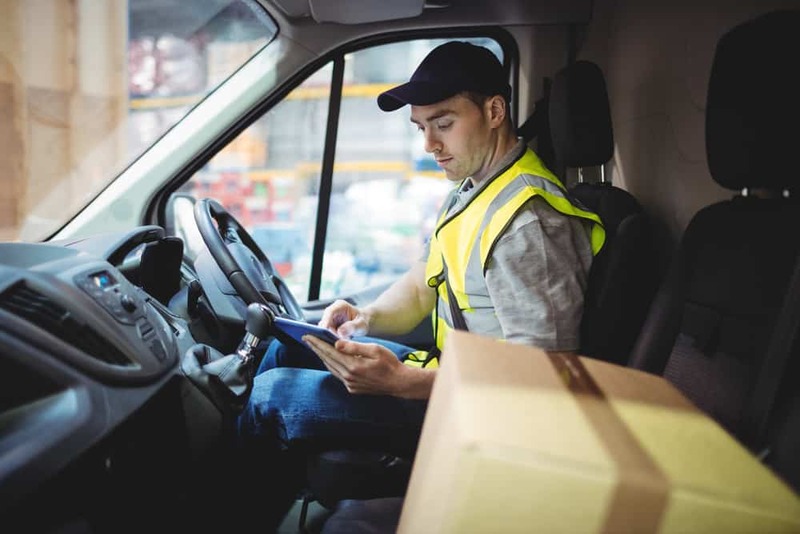 Age is one of the biggest factors impacting the availability of drivers – according to Australian Bureau of Statistics Labour Force Data, nearly half of all truck drivers will be aged over 65 by 2026. As more truck drivers reach retirement age, the number of job openings will inevitably increase. Get more information on our heavy vehicle training here, or give us a call to chat about your learning options on 1300 790 822. The post The Importance of Workplace Health and Safety for Tradies appeared first on Major Training Group. Given the nature of their work, tradies face a risk of injury every time they step on the jobsite. They represent over half of the serious claims for worker’s compensation in the country. This is why it’s crucial your workers are up to date on their work health and safety training – to reduce worker’s compensation risks and costs for your business. Your staff can complete our courses at your workplace to minimise downtime. Get in touch today to learn more about Major Training’s work health and safety training. Given the nature of their work, tradies face a risk of injury every time they step on the jobsite. They represent over half of the serious claims for worker’s compensation in the country. This is why it’s crucial your workers are up to date on their work health and safety training – to reduce worker’s compensation risks and costs for your business. Tradies make up 31% of Australia’s workforce, but they represent 58% of serious claims and 57% of total costs for workers compensation. The incident rate for tradies in Australia is a staggering three times higher than all other occupations, making it imperative for workplace health and safety to be front and centre for everyone in the industry. Keep workers’ work health and safety training up to date. Source: Safe Work Australia’s National Data Set for Compensation-based Statistics, 2014-15. The post Dump truck tickets ( Articulated & Rigid), S11, Interview with SES & Experience on a live quarry! appeared first on Major Training Group. The post Why It’s Good to Be a Tradie in Australia appeared first on Major Training Group. On the fence about starting an apprenticeship? With jobs for tradies increasing by as much as 66% across the country in the past year, there’s never been a better time to be a tradie in Australia. Whether you’re considering becoming a chippy, a sparky, or a brickie, we reckon it’s time to make your tradie career dreams a reality. Here’s why. Unless technology advances at an alarming rate, you won’t be competing with robots for a job anytime soon. Trades jobs are pretty future-proof and safe from automation, making them a great choice for job security and longevity. The Australian Jobs 2018 report shows Retail Trade is the country’s second-largest employing industry,offering great opportunities for young Aussies to enter the market. Recent federal government statistics predict over 7,000 new jobs will be created for electricians alone by mid-2023. And as one of the highest-paying trades in Australia, this could be the perfect time to get your qualifications to become a sparky. This just in: Tradies in Australia can earn up to $90 an hour. That’s more than most office jobs – and you don’t have to stare at a screen all day. Not bad. If cash is a key driver for your career aspirations, there’s no denying the economic opportunities for tradies in Australia. If you’re looking to work and travel the world at once, having a trade under your belt is the perfect way to do it. Your skills will translate to international markets, while workers in other industries may have to take the retail or hospitality route in order to earn some coin on their travels. Think you’ve got what it takes to become a tradie in Australia? Find out more about the apprenticeships and traineeships at Major Training today. The post What to Look for in a Training Provider appeared first on Major Training Group. Considering a course, traineeship, or apprenticeship? You’ll want to find a trusted training provider. There are plenty of nationally recognised training providers to choose from, but some may be more suited to your needs than others. If you’re not sure where to start in your search for a registered training organisation in Australia, we provide some advice on what to look for to ensure you find the right fit to get your career on track. First things first: Are they a registered training organisation (RTO)? This is the best way to ensure you’re dealing with a trustworthy and legitimate training provider. RTOs will have a registration number to show they meet the requirements needed to give you a nationally recognised qualification. This number will usually be displayed on their website. Another way to determine whether a training provider is trustworthy is how long they’ve been in the game. If they’ve been providing training for decades without any hiccups, it’s pretty safe to say they’re a decent choice. If they’ve just sprung up in the past few months and you can’t find any information on them or past students’ experiences with them, you should probably think twice before paying any course fees. Speaking of past students’ experiences, reading up on reviews is one of the best ways to suss out a training provider and get a feel for their reputation. Who better to recommend a training provider (or warn others about them) than those who’ve been there and done that? Look for a training provider with good reviews and testimonials, and avoid organisations with a heavy history of issues and disgruntled customers. What qualifications do they offer? Do they offer the right course to get the qualification or licence you need? What are the job prospects once you’ve completed the training? While it may sound simple, it’s important to confirm your training will give you the qualification you need to get where you want to go. Do they offer flexible study options? Your training should suit your lifestyle, and the last thing you want is to commit to a course that doesn’t cater to your needs. Some training providers offer part-time, full-time, and intensive learning options, as well as in-class and online study. If flexibility is important to you, keep this in mind when searching for your ideal RTO. What is the cost of the training, and what funding is available? Be sure to have a clear answer on the total cost of your course. This includes asking about any service/amenity fees, material fees, equipment costs, and so on. Find out what funding options the RTO may have to assist you with you fees. You should take your time choosing a training provider and get as much information as you can before making a decision. You can call Major Training on 1300 790 822 to learn about our courses, traineeships, and apprenticeships, or enquire online today. The post Questions to Ask Your Training Provider appeared first on Major Training Group. Scratching your head over what makes a good training provider? If you’re looking to further your education, choosing the right training provider can make all the difference. Keep these key questions in mind when researching nationally registered training providers to help decide what’s right for you. What outcomes can I expect from my qualification? All the best face-to-face and online course providers in Australia should be able to give you a clear answer on where your qualification will take you – and whether it’s nationally recognised. You want more than just a piece of paper; you want the practical skills and knowledge needed to land a job. Find out what outcomes are available to you upon completion and if there are other requirements you may need to help land a job in the industry you’re interested in. Do you have flexible study options? Most registered training organisations in Australia should understand that everyone’s schedule is different – and they should accommodate this with a bit of flexibility. From online study to late-night classes, be sure to ask what options might work for you. What communication and support can I expect from your trainers? Are the trainers easily accessible? Are any support services available to help with your training? Is assistance offered to help you land a job after completing the course? There’s nothing worse than feeling like you’re on your own throughout your training. Knowing your trainers are just an email away when you’re stuck on something can give you peace of mind. Will I get the opportunity to practise my skills before entering the workforce? This is a big one, because no matter what you learn in theory, nothing gets you as career-ready as hands-on, practical opportunities.Ask if these opportunities are offered throughout your training to ensure you’ll have some practice and feel prepared to take your skills into the workplace. If you’ve got questions, Major Training has answers. Get in touch today to enquire about the courses, apprenticeships, and traineeships offered at our registered training organisation in Australia.